That year the group’s White Album came out. 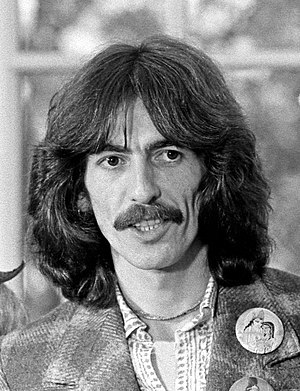 Harrison penned “While My Guitar Gently Weeps,” “Piggies,” “Long, Long, Long” and “Savoy Truffle.” “While My Guitar Gently Weeps,” is ranked as #7 Greatest Guitar Song of All Time by Rolling Stone Magazine. On Yellow Submarine he penned “Only A Northern Song” and “It’s All Too Much” both of which — like the rest of the album — were self indulgent and over produced. Let It Be had “I Me Mine Mine” and “For You Blue.” While recording Let It Be Harrison grew frustrated with the poor working conditions of the film studio as well as with the Lennon-McCartney lock on creative input on songs. He walked way from the recording sessions on January 10th, 1969. The other Beatles convinced him to return 12 days later but the writing was on the wall. The end was near for the super group. In 1971 he organized a charity concert at Madison Square Garden to raise money and awareness for the refugees in Bangladesh. The Concert for Bangladesh (and the concert film) was a fore runner to other multi-band high-profile charity concerts to come a decade later like Live Aid. His next Album, Living in the Material World went Gold with in a week of its release. The single from the album, “Give Me Love (Give Me Peace on Earth)” became an international best seller. But then things began to flatten out musically–sales wise at least. Harrison continued to write and experiment musically. 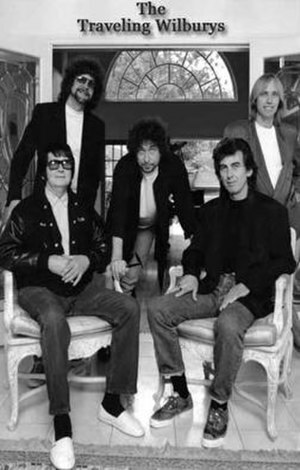 In 1987 released Cloud Nine and began to work with a collection of rockers who formed the group the Traveling Wilburys. “In 1998, Harrison, a longtime smoker, reportedly was successfully treated for throat cancer.” [Ibid] Two years later the cancer returned, this time it had spread to his brain. He died in Los Angeles in November of 2001.